Today the CMA CGM Marco Polo called into the world’s biggest terminal, the Guandong terminal in Shanghai. “From 2012 January to September, more than 250 vessels of the group berthed at Guandong Terminal, for a total volume of 756,000 TEUs. This represents 63 % of all volumes carried by the group in Shanghai. CMA CGM is currently the terminal’s biggest carrier customer” notes Gorden GUO Vice President of CMA CGM China. 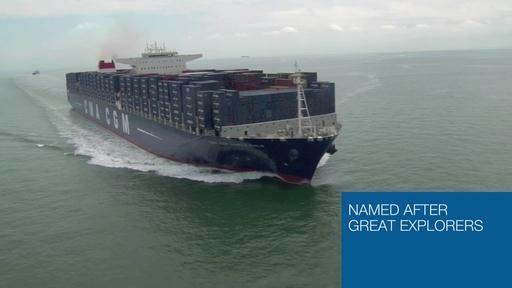 The CMA CGM Marco Polo continues her route to South China and should reach Xiamen port next Monday, 12 November 2012.